She immediately took me over to the German Rieslings. I sheepishly admitted that I don’t know much about Rieslings, so she gave me a brief lesson. What I do know is that Germans do NOT make mistakes (only the big ones). 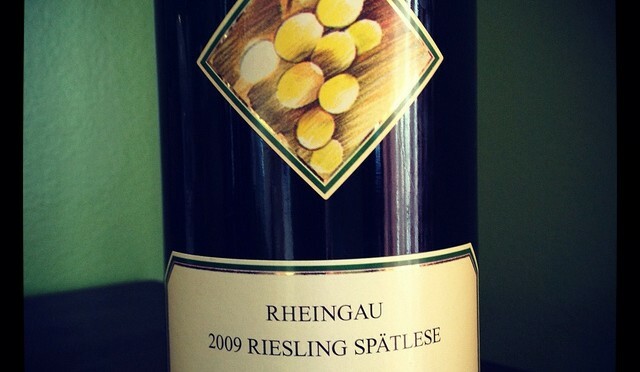 German Rieslings are a rich subject matter. They are sweet, yet dry. She said to stay away from the California and other New World Rieslings as they would be higher in sugar and much sweeter. She immediately recommended a 2009 late harvest Riesling Spatlese. There are five classifications of German Riesling, none of which I can pronounce without sounding like a WWII Looney Toons villain. Spatlese [pronounced SHPAT-lay-zuh] refers to the degree of the grape’s ripeness upon harvest. Spatlese is on the dryer side of the sweet Riesling scale. The grapes are left on the vine until they are almost raisins. This maximizes sugar content, thus yielding a sweeter wine. [You can do your own Google search and read up on the others- I need to get to the food and booze!] I was a bit skeptical, but the way the German language rolled off her tongue, I wasn’t going to argue. I brought the bottle to my friend Pete’s house who was hosting a small soiree and we grilled up those succulent bacon and cheddar brats. For a single dude, he put out a nice spread of hummus, olive tapenade and salsa. Oh, wow, sweet mother of Wisconsin sausage! The cheese of the smoked bratwurst is warm and bursts in your mouth just enough to taste, but not overwhelmingly so like when you bite into a Juicy Lucy too early and curse the Lord’s name in vain because you’ve burnt your whole mouth. I looked at this golden white wine that is supposed to be sweet but dry, shrugged my shoulders and took sip of the Riesling. Yup, that’s the stuff- I’ll have more, please. Flavors of orange, lemon, and melon hit the palette with ease after each bite of juicy, smoky bratwurst. The dinner party consisted of folks that didn’t know each other all that well, but soon we were all grunting and nodding, sipping and grinning. 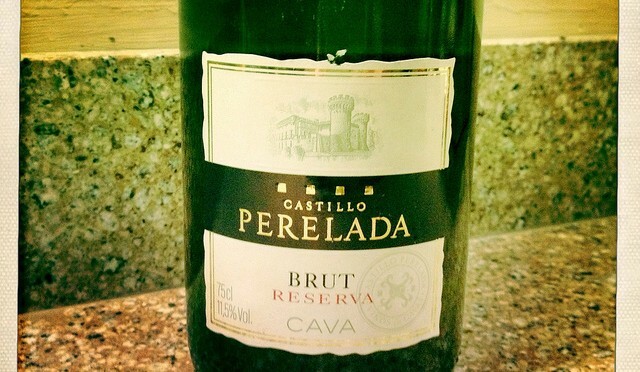 Everyone commented on how well the wine and brats paired together. My only regret is that I didn’t buy more. For all those skeptics who think Riesling is icky-sweet and only for women who are used to drinking wine coolers, I say pick yourself up a bottle of this and enjoy with smoked brats and kraut. Heavy German food not your thing? Pair this Riesling with Thai or perhaps Vietnamese food. Sweet enough to make salty treats sing.